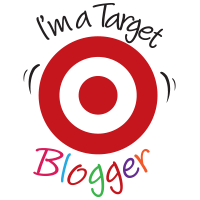 I realised that in blogging at weddingbee, I've ended up not mentioning a lot about our planning over here. 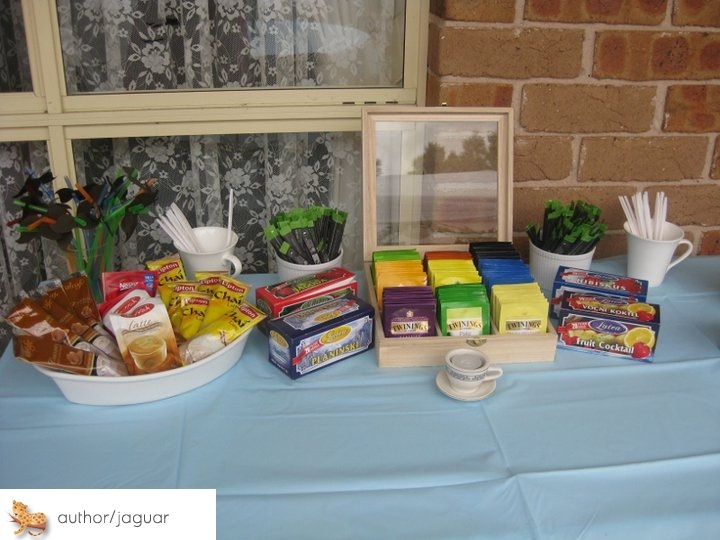 So, in the spirit of sharing, I've decided to share my bridal shower. 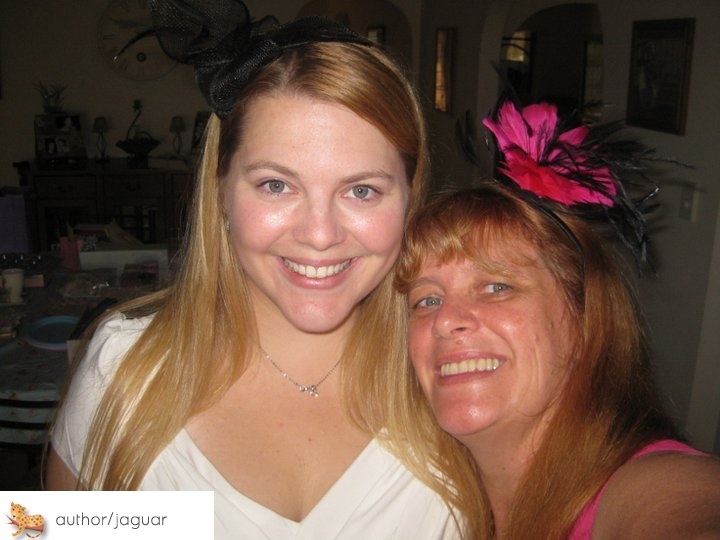 It was held a few weeks ago now, and it wasn't just any bridal shower, oh no. 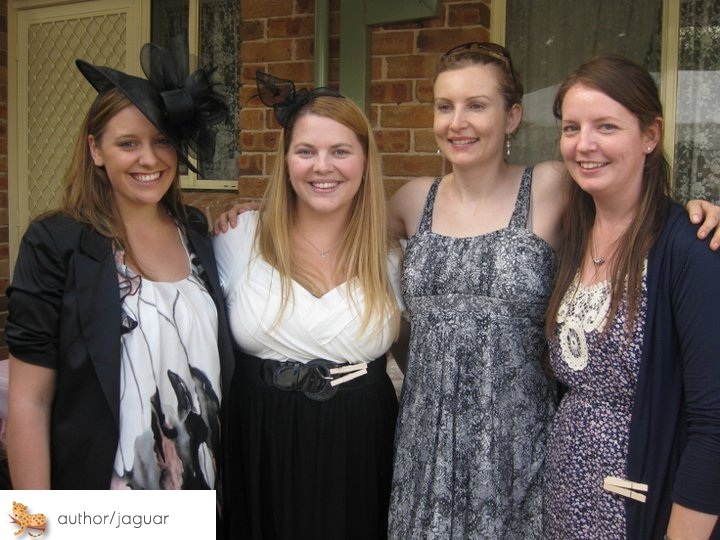 The theme was a high tea afternoon complete with 'frocks & hats', and looked fabulous! Despite there being a few morning showers (before the shower, how fitting!) the day turned out to be lovely - and the set up was just fabulous. My mum & three wonderful bridesmaids had spent the morning setting up, had baked for the past few days and had planned all sorts of lovely surprises. Nearly everyone followed the instructions and turned up wearing some form of hairpiece. It was a really great turn-out. First things first, the decor. 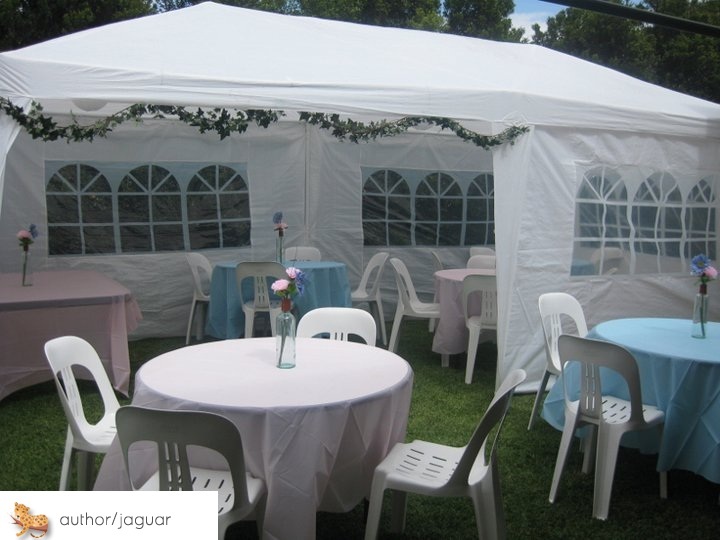 My mum had borrowed a marquee from a friend, and set it up with ivy, tables & chairs, as well as flowers in vases. 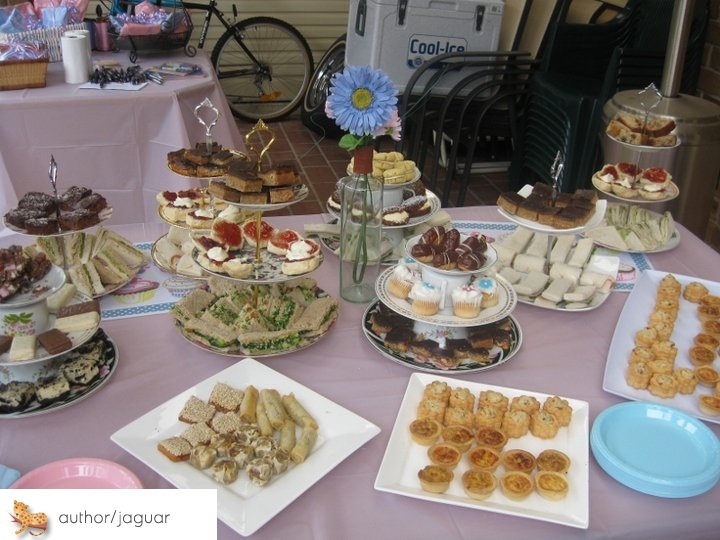 The girls had set up separate tables for fancy teas, for mismatched vintage tea-cups, and for food - plates and plates of sandwiches, mini quiches, scones and sweeties. Yum! But best of all? 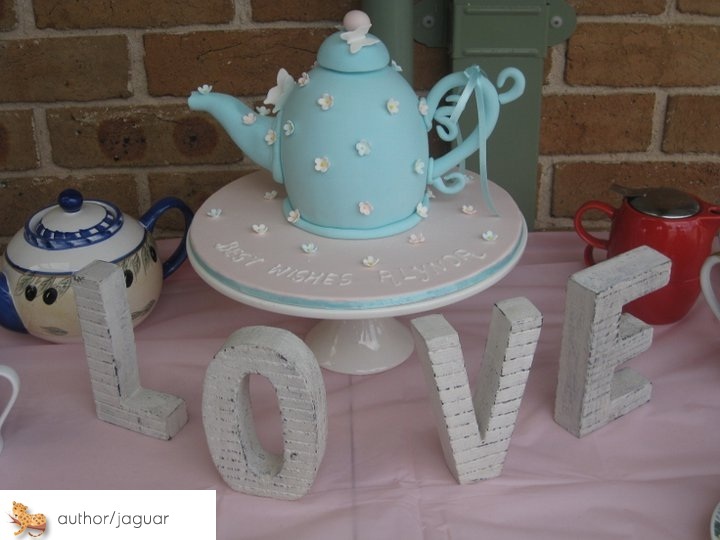 Mum's friend is a cake maker - and her design was THE hit of the day! Is this not the most adorable cake, ever? And then there were the games! As the guests arrived, everyone was given a peg to clip to their outfit - if you said the "W" word (WEDDING!) & someone heard you, you got to steal their peg and whoever had the most pegs at the end of the day won a special prize. 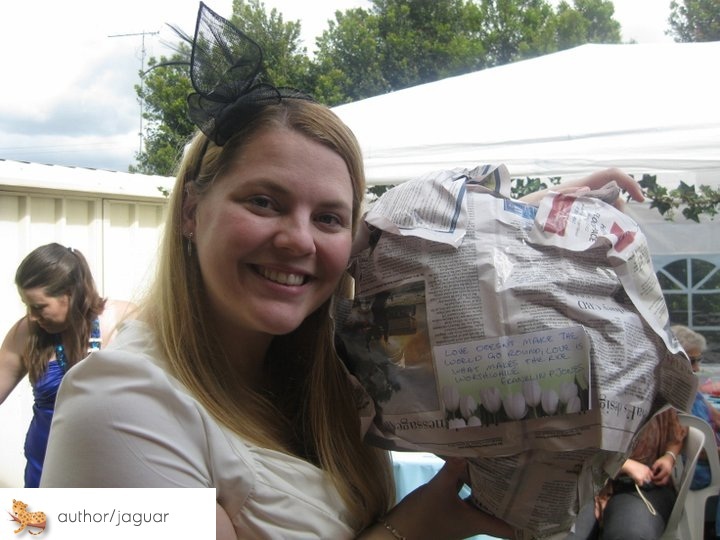 There was also Bridal Registry Bingo, followed by Pass the Parcel - each layer was done in recycled paper, and in every layer there was a quote about 'love' which that person had to read out. 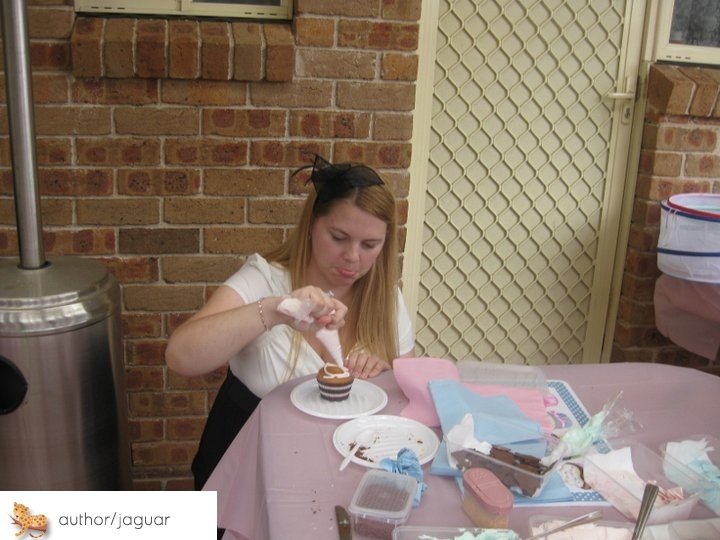 And, best of all, there was a cupcake decorating station! Fresh cupcakes were baked, decorations were bought, and all of the guests had to make their own design - with lucky me getting to choose the winner. I had to have a turn too, although I'll admit, mine came out rather terribly. I fail at piping. Some of them were pretty clever. 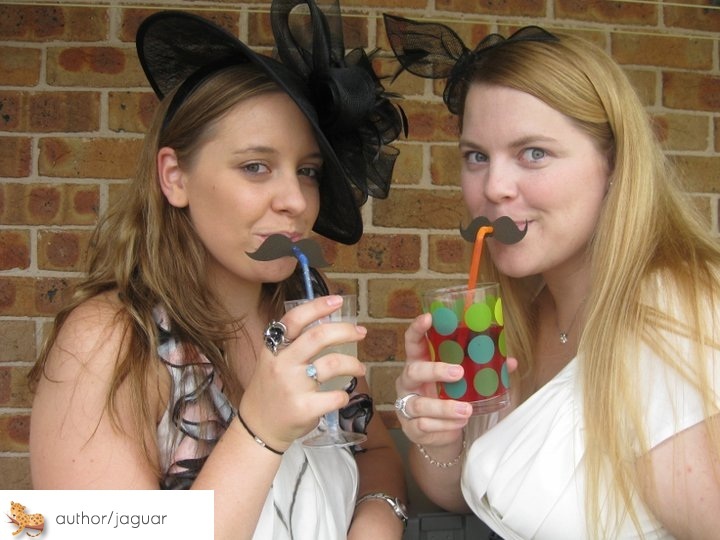 And what is a good bridal shower without.... MOUSTACHE STRAWS? These were the brainchild of my MOH-extraordinaire, Kirby - modelled by Hayley & I. They went down a treat! 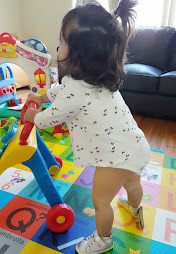 The day was so much fun - I ran around like a crazy person trying to catch everyone and make sure I spent some time with them, but I still feel like I missed out on a few things. If this is any indication of what the wedding's going to be like, I'm slightly daunted. But, I was spoiled by my loved ones and thoroughly impressed at how much planning & detail went into the event - I'm a lucky girl. 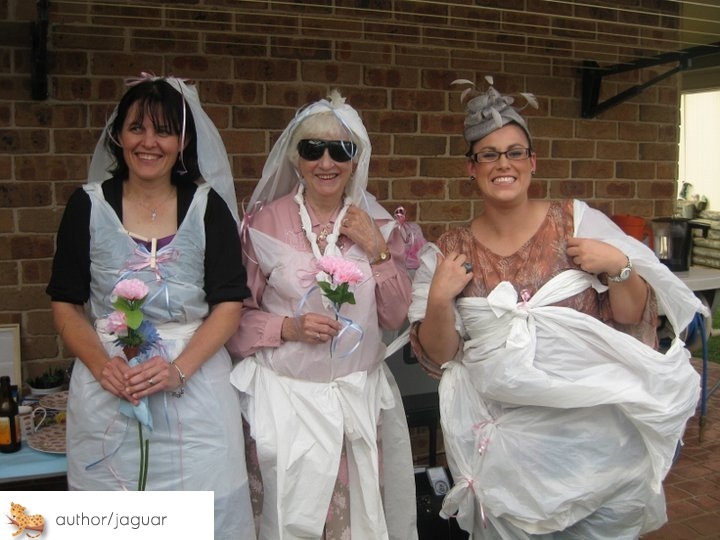 This entry was posted on 17:49 and is filed under All Things Wedding . You can follow any responses to this entry through the RSS 2.0 feed. You can leave a response, or trackback from your own site. Waaah. So sad I missed it! At least I had a good reason, another wedding. This year is proving to be quite popular for them. I follow you over at the Bee but I love reading your stuff here.. so I'll comment here! It looks like such an amazing shower - that cake is just gorgeous. 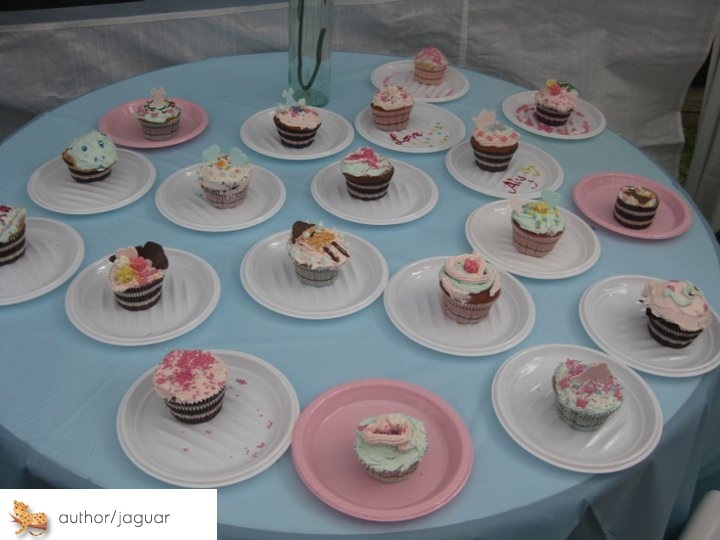 And I totally love the idea of a cupcake decorating station!! Holy gorgeous shower! This is spectacular!! Looks like just the right combination of elegant and fun! LEMON SCENTED garbage bag dresses. Wow! What an amazing afternoon tea - and that cake is incredible! **I have been dropping by and looking at your lovely photos and following on twitter. Haven't been leaving comments much, but definitely still checking in. Glad to see it all going so well. oghmygoodness your shower looks fabulous! 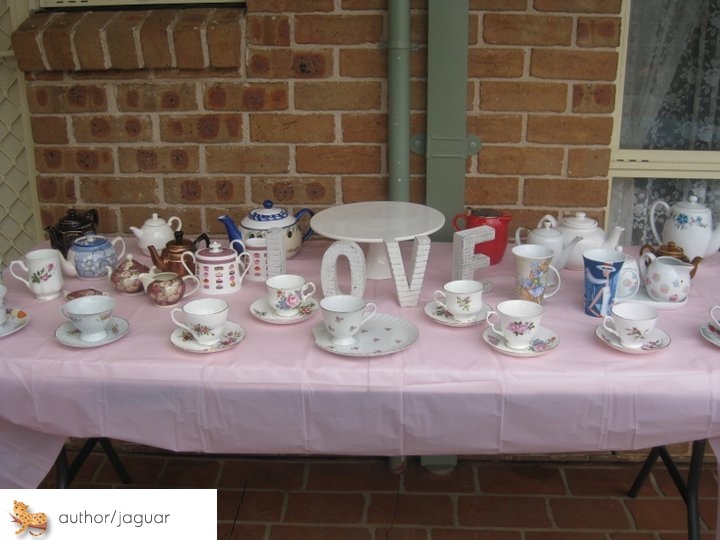 i love the teapots and the hats and just yes, so much cuteness at your shower. yay your wedding, woo!